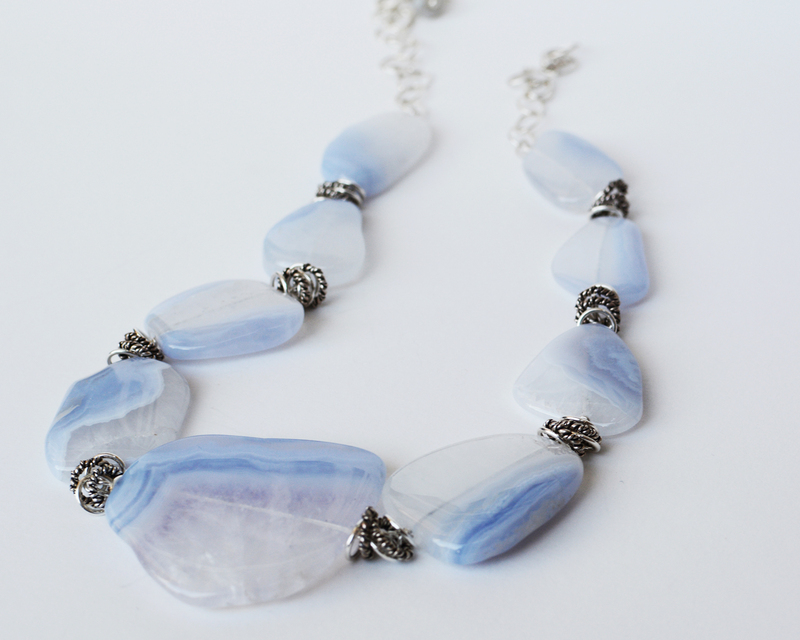 This gorgeous blue chalcedony just shines! 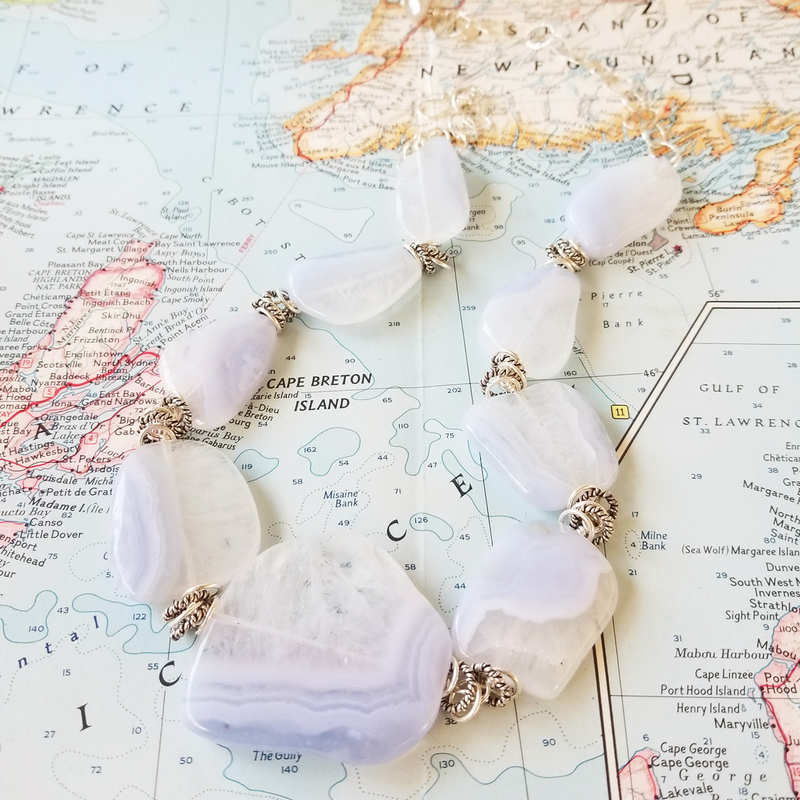 If you are looking for a statement necklace that speaks for itself, this is it. 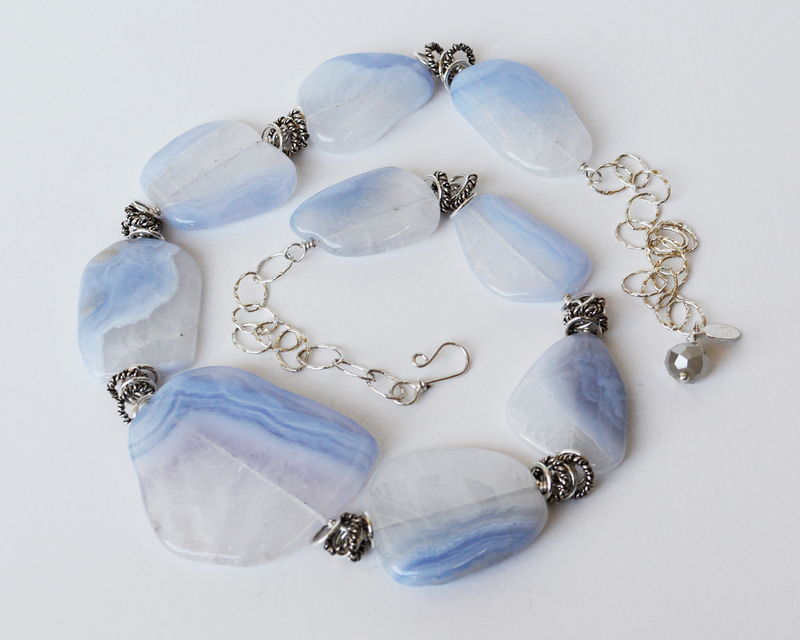 I've kept this fairly simple because the blue chalcedony stones are really beautiful on their own. 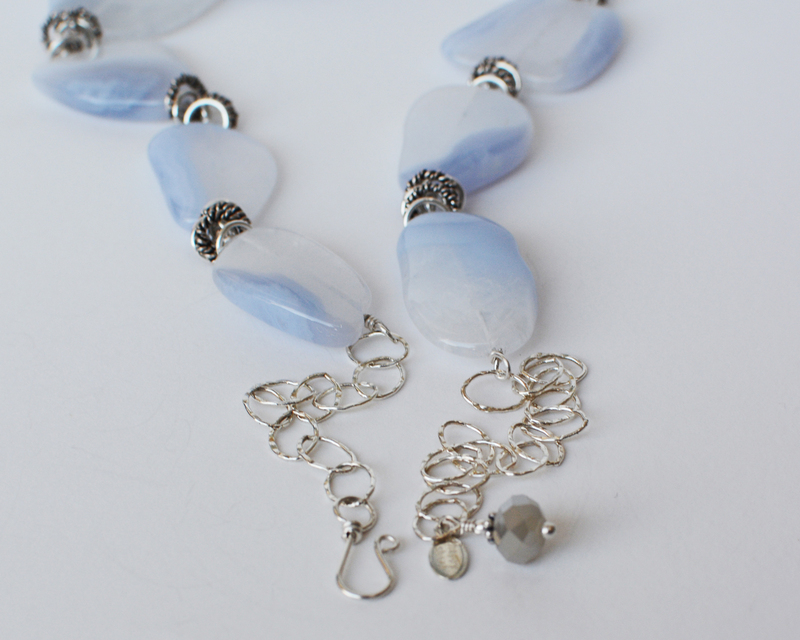 I've wire-wrapped them together and added a variety of sterling rings between each stone for some movement. It's adjustable from 17"-19" and can be resized if need. See more photos in my Etsy shop here.